Intent on preventing the German aggression they held to have caused World War I, the Allies in 1919 imposed stringent restrictions on Germany’s military capabilities as part of the Versailles Treaty. Most were general in nature, including those limiting conscription and the manufacture of rifles and artillery. But the Allies were particularly concerned about German aviation, as evidenced by the prohibition of any possession of Fokker D.VIIs. These biplane fighters were the only category of equipment specifically mentioned in the Versailles restrictions, a testament to Allied fear of German airpower. The new postwar government in Berlin was initially assisted in its airpower deception by private interests. Anthony Fokker, the Dutch manufacturer of several successful German WWI aircraft, including the D.VII, was among the first to aggressively circumvent Versailles restrictions. He and his company hid aircraft in barns and buildings throughout the German countryside, covertly put air frames on trains under tarps and rigging that hid the outlines of the aircraft, and created diversions as the trains crossed German-Dutch border into Holland, all to save 120 D.VIIs, 400 engines, and an estimated $8 million of material. They also left a handful of airframes in Germany for Allied arms inspectors to find, to avoid the suspicion that anything had been removed. Fokker’s motivation may have been largely personal in ensuring he could continue his business, but after his departure for the United States in 1923, the German government continued to benefit in air R&D from both planes and design information that should have been destroyed under Versailles. Those inspectors were from the Inter-Allied Control Commission (IACC), a group of military officers headquartered in Berlin, whom the Allies had designated to ensure German compliance with the treaty restrictions. The inspectors were not idle, conducting more than 800 inspections over a six-week period alone between September and October 1924. Their efforts and frustrations would be familiar to any who followed arms control inspections in Iraq almost 70 years later. IACC inspectors spent a significant amount of time inspecting facilities that had been warned in advance of their arrival as well as chasing down meaningless rumors, such as that baby carriages were being manufactured that could be reassembled into machine guns. The Army Peace Commission, a liaison group within the German Defense Ministry, was responsible for much of the work of undermining the IACC’s efforts. German officials and the commission’s commander, Gen. August von Cramon, had been shocked that the Allies had permitted the formation of such a liaison group, assuming the IACC would just travel and inspect whatever it wished and without warning. The Germans used the peace commission to obstruct and thwart the IACC’s efforts at every opportunity. Arguably, however, the real story the Allies were interested in was not in Germany at all, but in an unexpected place the IACC could not reach, the newly established USSR. These efforts complemented bureaucratic actions within the Defense Ministry in Berlin that were not detected by the IACC. 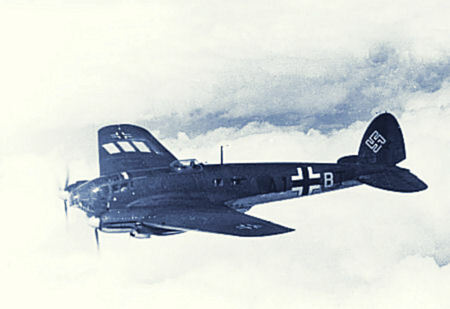 The aviation staff was designated the “Army Command Inspectorate of Weapons Schools” and immediately absorbed 120 former army and navy pilots into the newly established state-owned airline, Lufthansa, or into several “advertising squadrons.” It did so through false job descriptions and secret training pipelines. 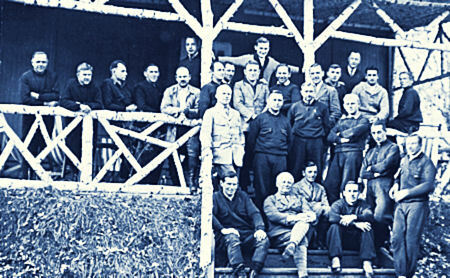 After initial training at a newly established (1922) Commercial Flying School, the new pilots were brought to Lipetsk for specialized military training. The entire enterprise was financed through the state budget. Each year the chancellor’s office and Defense Ministry would submit budget requests with inflated estimates for items such as parts and labor. When legislators approved this budget, the excess funds were then diverted to secret programs such as air training and the Lipetsk facility.This effort, simple in description, must have involved significant work and coordination among the various offices and individuals responsible for budget formulation in the Weimar Republic. Not all efforts to develop the German air force were so clandestine, and in fact some were taken with the concurrence of the Allies themselves. The Commercial Flying School was established publicly and eventually did feed into Lufthansa. German arguments that they should not be denied the benefits of aircraft for mail delivery, advertising, and sports led to a relaxation on restrictions of limited-performance aircraft. Perhaps even more significant, the Paris Air Agreement of 1926 granted Germany the ability to build high-performance aircraft to compete in air shows and set speed records. 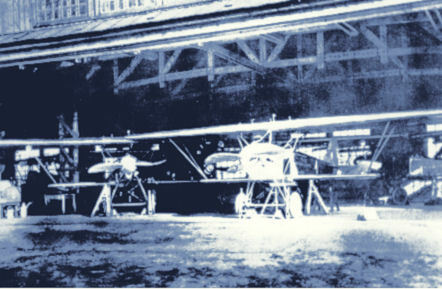 These aircraft designs would be the foundation for aircraft tested at Lipetsk and other facilities throughout the 1920s and 1930s. This period of German rearmament came to a close on 31 January 1927, when the Allies officially withdrew the IACC. Any observation of German military development would now rest solely with military attachés, generally controlled and monitored in their travels around the country. The commission’s final report stated that Germany had never had any intention of disarming and had done everything in its power to circumvent the work of the commission. But with no smoking gun proving German deceit, the report apparently fell on deaf ears in London and Paris. Though the commission was no longer a barrier to rearmament, the German government continued to take steps to ensure its covert buildup would remain undetected. In 1932, the Defense Ministry classified its officer lists for the first time. Two secrets would have been revealed had the Allies been able to review these lists. The first was that the total number of officers in the army and navy exceeded the number permitted under the Versailles restrictions. The second was that through the secret training programs in Lipetsk, fed by the commercial training pipeline, the Germans had managed to train a sufficient number of pilots to man their rapidly expanding air force. That air force would be built in factories and based at airfields almost completely unknown to the Allies. British and French officials had a good understanding of the location of German air facilities built during the war, and what little construction occurred immediately following was likely caught by the IACC as it toured the country. But following the disestablishment of the commission, the Germans were able to rapidly construct airfields and other facilities in parts of the country less frequently traveled and hence unlikely to be toured by military attachés. A budget of 10 million reichsmarks earmarked for the aviation office through what was known as the “blue” budget financed the construction. These funds were diverted from the Defense Ministry’s public budget in secret and administered by a special branch of the Reich Audit Office that dealt with these covert programs. The rise of the Nazi Party brought about more aggressive deception to match this increase in activity. Two events are notable. The first is an announcement in 1933 that foreign bombers had flown over Berlin and dropped leaflets. Though no evidence was provided, the German Foreign Ministry insinuated that the bombers were Soviet. In fact, this incident was completely manufactured—no flyover had occurred. But Hitler used it to claim that aggressive and technologically superior adversaries surrounded Germany and that the country was completely, and unreasonably, defenseless against them. The second event, far less dramatic, was the quiet formation of the Central Bureau for German Rearmament in 1934. This group was formed to coordinate what were by then numerous complex efforts throughout the Defense Ministry to increase Germany’s military capabilities in violation of Versailles restrictions. What were the political forces behind rearmament within Wiemar? You all might want to check out the German tv mini series "Babylon Berlin", taking place in 1929 Berlin; there's an episode involving the clandestine Lipetsk air arm. It's how should I put it...captivating...12 episodes which are a combination of seasons 1 and 2; available on Netflix streaming. I understand season 3 is in the works. I was at the Oshkosh Airshow last year where there was a Fokker D.VII owned by Kermit Weeks, though not in airworthy condition. Weeks had several other Great War craft that were flyable...Albatross, Sopwith Camel and Pup amongst others. He pointed out that the D.VII was so advanced for its time that it was specifically claused in the Versailles Treaty forcing the Germans to turn over to the victors all specimens and blueprints.